48. אָמְרוּ בַּעֲלֵי הַמִּשְׁנָה שֶׁל הַיְשִׁיבָה הָעֶלְיוֹנָה וְהַתַּחְתּוֹנָה, רוֹעֶה הַנֶּאֱמָן, אָנוּ שְׁלוּחֵי רִבּוֹן הָעוֹלָם אֵלֶיךָ, אַשְׁרֵי חֶלְקְךָ שֶׁאַתָּה בַּעַל תְּשׁוּבָה, שָׁקוּל לְשִׁשִּׁים רִבּוֹא יִשְׂרָאֵל, וְאַתָּה הֶחֱזַרְתָּ אֶת הַקָּדוֹשׁ בָּרוּךְ הוּא וּשְׁכִינָתוֹ לִמְקוֹמוֹ, מַעְלָה וּמַטָּה. וּבִגְלָלְךָ יִגָּאֲלוּ יִשְׂרָאֵל וְיַחְזְרוּ לִמְקוֹמָם, וְאֵין כֹּחַ לַמְּשִׁיחִים לִגְאֹל אֶת יִשְׂרָאֵל חוּץ מִמְּךָ, וּבִגְלָלְךָ הֵם מִתְעַכְּבִים. הַשְׁלֵם דְּבָרִים נִכְבָּדִים הַלָּלוּ, שֶׁעֲלֵיהֶם נֶאֱמַר (תהלים יט) הַנֶּחֱמָדִים מִזָּהָב וּמִפַּז רָב וּמְתוּקִים מִדְּבַשׁ וְנֹפֶת צוּפִים. 49. אָמַר לָהֶם, בַּעֲלֵי הַיְשִׁיבָה, בִּגְלַל הַשָּׂכִיר הַזֶּה, שֶׁהוּא עֶבֶד, שֶׁבָּא לְקַבֵּל שָׁלֹשׁ תְּפִלּוֹת, תִּקְּנוּ בַּעֲלֵי הַמִּשְׁנָה שֶׁלָּכֶם לִהְיוֹת הָאָדָם בְּשָׁלֹשׁ בְּרָכוֹת רִאשׁוֹנוֹת כְּעֶבֶד שֶׁמְּסַדֵּר שְׁבָחִים לִפְנֵי רִבּוֹנוֹ, וּבָאֶמְצָעִיּוֹת כְּמוֹ עֶבֶד שֶׁמְּקַבֵּל פְּרָס מֵרִבּוֹנוֹ, וּבָאַחֲרוֹנוֹת כְּמוֹ עֶבֶד שֶׁנּוֹטֵל פְּרָס מֵרִבּוֹנוֹ וְהוֹלֵךְ לוֹ. Moses is is the first and final redeemer. He connected Malchut and all the sefirot of Zeir Anpin, Central Column to Binah. The first redemption was to take the Israelites from slavery in Egypt and give them the Torah to follow and reveal its light in the world. He went up to God in Binah and became the vessel of Da’at when he connected the Light of Torah that comes from Chokmah to Binah and through him to Zeir Anpin and Malchut. Moses’s work earned him control over the Central column from bottom up. He controls the gate of Da’at at the top. It will open to let Mashiach Ben David come down to the world from the Garden of Eden. 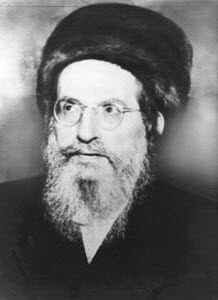 Mashiach ben Yosef is a descendant of Ephraim, son of Joseph. He will be revealed in Malchut and receives his power from his connection to Yessod. Moses answered them; your scholars established the prayer of the Amida in a structure that the ‘hired hand’ (see #45, DZ 2518) can elevate his prayers to the archangel Metat-ron in order to receive his ‘wages’. The prayer of the Amidah was in three parts. The first three blessings are praise to YHVH. They connect Chessed, Gevurah and Tiferet to Chokmah, Binah and Da’at, ‘attaching’ Zeir Anpin, like a three prong electrical plug. The middle part has thirteen blessings that are different types of requests for knowledge, forgiveness, health and more. The last part has three blessings to express thanks for receiving our ‘wages’. All the blessings of the Amida are in plural form because as the children of Israel we pray for all the souls that connected to the same roots. The title of this study “More desirable than gold” taken from the verse above, to teach us that gold is only good in this temporary world and its value disappear at the time of death. If we want life in the world to come we need to transform our gold and material wages to light by following the ways of the Torah.